This two-minute YouTube video shows the essence of the novel. (PRLEAP.COM) July 21, 2018 - White Whisker Books is pleased to announce that its novel THE "The Chords of War," by Christopher Meeks and Samuel Gonzalez Jr. has been recognized as a winner in the 20th annual Foreword Magazine INDIES Book of the Year Awards with a Bronze Prize. Inspired by Sam Gonzalez's true story, "The Chords of War" is the tale of teenager Max Rivera from Florida, who seeks purpose as he tries to understand why his life always teeters between music and mayhem. After he's kicked out of his band on tour, he joins the Army to change his life. It's after 9/11, and he finds himself under fire in Iraq, part of the surge in Baquabah. In order to deal with his confusion and anger during battles, patrols, and women fighting alongside him, Max creates a new band with soldiers. Will Max and his friends make it? White Whisker Books has also released a new book trailer video, which offers the passion and tone of the book. To see the trailer, click on the YouTube photo or click here. "'The Chords of War' may be destined to have the impact of 'All Quiet on the Western Front' as the defining novel of the Millennials' war in Iraq. It has already made my 2017 Top Three list of books." "Wow what a book. This is destined to become an instant classic. The authors really capture the essence of the war in Iraq and what it is like to be a young soldier in the midst of such horrors. Couldn't put this book down. I now have a whole new perspective on the war." "With 'The Chords of War,' Christopher Meeks and Samuel Gonzalez Jr. have set the bar very high for modern war fiction." As part of its mission to discover, review, and share the best books from university and independent publishers, independent media company Foreword Magazine, Inc. hosts its annual awards program each year. The complete list of winners can be found by clicking here. White Whisker Books has had four books selected for awards by Foreword Reviews in the past seven years, beginning with Christopher Meeks' comic novel, Love at Absolute Zero in 2011, a finalist in the Romance category. Then came Shelly Lowenkopf's The Fiction Writers' Handbook: The Definitive Guide To Mcguffins, Red Herrings, Shaggy Dogs, And Other Literary Revelations From A Master, a finalist in the Adult Nonfiction category in 2012. E. Van Lowe and Sal Conte's tense YA novel, The Secrets of Love and Death won a Silver Award in 2015 in the YA Novel category. 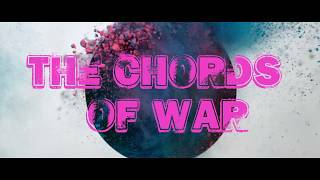 Then this year's The Chords of War for Military and War fiction.